Born Nikolai William Alexander Frederik, this member of Danish Royalty became known by the title of Prince Nikolai of Denmark, Count of Monpezat. In 2018, he tried his hand at modeling and made his debut at London Fashion Week for Burberry. He signed with Scoop Models. During his childhood and teenage years, he studied at the the Krebs School and the Herlufsholm School. In 2018, he was sixth in line to the throne of Denmark. 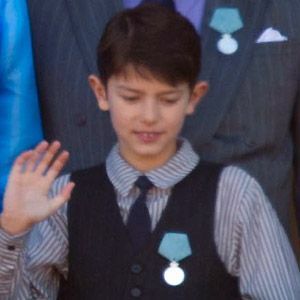 He and his brother, Prince Felix, were born to Prince Joachim and Alexandra, Countess of Frederiksborg. He made his fashion show debut alongside supermodel Cara Delevingne.